President Barack Obama delivers the sixth State of the Union address of his tenure Tuesday night from the Capitol in Washington, beginning at 9 p.m. EST. Follow U.S. News' live blog for what to expect from the speech, plus up-to-the-minute updates, analysis, reaction and more. Sen. Joni Ernst wasn't the only GOP member to bite back after Obama's address. 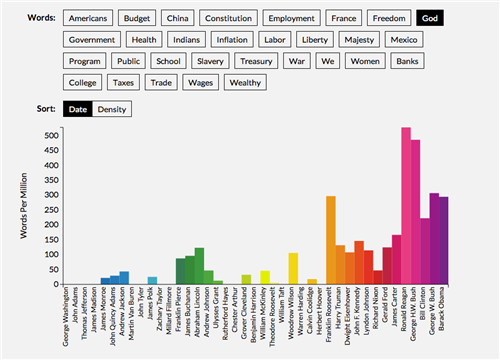 Several possible Republican presidential contenders didn't even wait for the final "God bless America" to weigh in. More on Sen. Joni Ernst's response, per the AP: "The new Republican Congress understands Americans' suffering from the economy, health care system and Washington gridlock and will steer the country away from President Barack Obama's failed policies, the newly minted senator delivering her party's official response to the State of Union address promised Tuesday." Read the full text of Sen. Joni Ernst's GOP response to President Obama's State of the Union address, as prepared for delivery. The @TeaPartyExpress response to #SOTU focused on teamwork, unity and vision. "With God & Liberty as partners on our team, we will succeed." 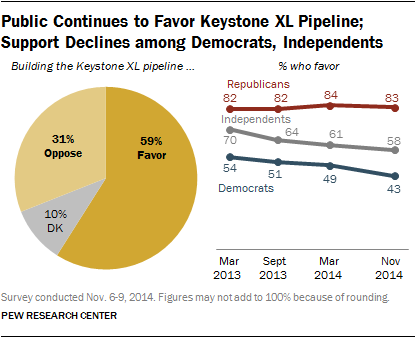 Ernst is right that most Americans are in favor of Keystone. She's also right that the Affordable Care Act has meant more costs for some. Sen. Joni Ernst wants to "tear down trade barriers" to create more jobs in the U.S. Trade is one issue on which Republicans agree with President Obama. The president faces more opposition from Democrats to agreements like TTIP and TPP. Response from Sen. Lamar Alexander (R-Tenn.) about what the president said on health care: “I’d like to hear talk more about 21st-century cures, helping to get treatments, medical devices and medicines through the U.S. Food and Drug administration more rapidly, which would help virtually all Americans. This is something that both Republicans in Congress and the president believe is important." "In the next few weeks, I believe we will pass the bipartisan Kirk-Menendez bill to give our children an insurance policy against a nuclear war in the Middle East.” -- Sen. Mark Kirk's (R-Ill.) response to President Obama's State of the Union address. 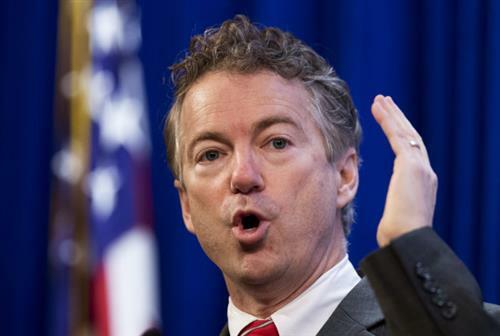 Kirk is leading the charge in Congress to pass a bill that would impose more sanctions on Iran. 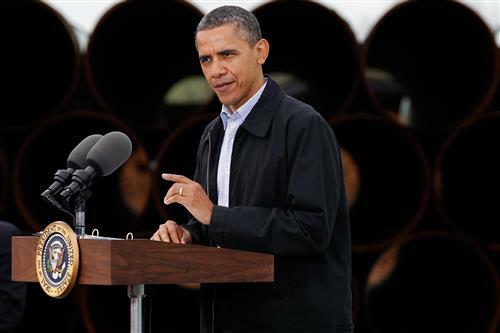 Obama said he will veto any legislation passed before diplomatic negotiations have a chance to play out. #YesWeTan begins the night. Hillary Clinton and Mitt Romney come out of the woodwork. Cher reacts. See other top tweets on tonight's State of the Union address. So who caught the Keystone XL reference tonight? 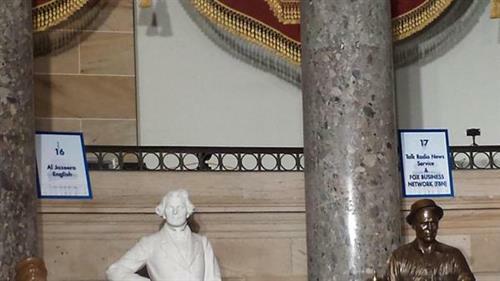 US News & World ReportThe president urged lawmakers in his State of the Union address to fund road, rail and telecommunications upgrades – and end a six-year focus on the proposed $5.4 billion pipeline. 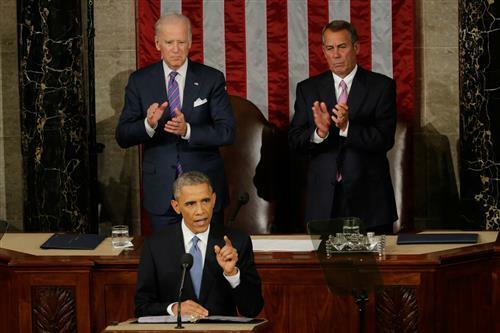 US News & World ReportIn his State of the Union address Tuesday, President Barack Obama reaffirmed his second-term focus on mitigating global warming. 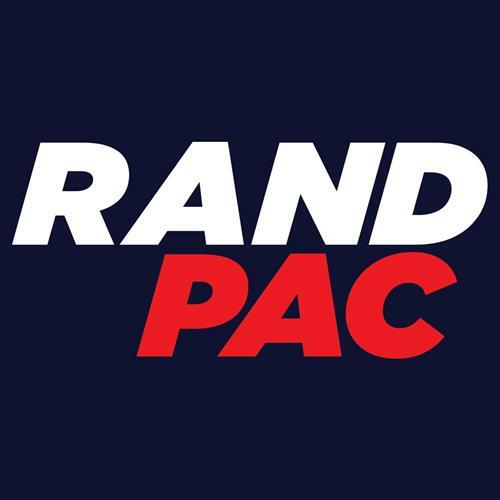 Rand Paul calls for term limits for Congress in his response. 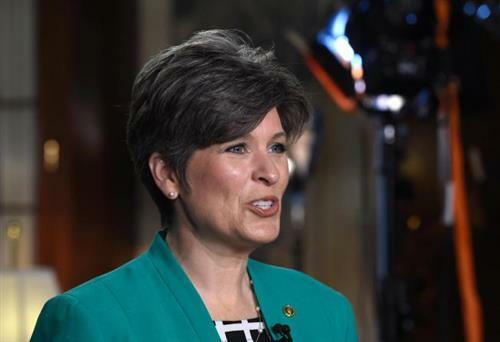 Sen. Joni Ernst mentions terror attacks in Nigeria, Australia and Canada. Obama didn't. 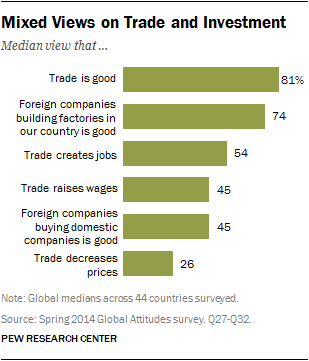 Americans have mixed feelings on trade, according to Pew polls. Notable: No mention of Iraq. Notable: Calls for a Palestinian state, but doesn't acknowledge existence of Palestine. Doesn't mention Russia by name. Japan, Afghanistan, Iraq, Pakistan, Paris (France), Syria, China, Russia, Ukraine, Cuba, Iran, Israel. Notable: Calls Putin out by name. By my rough count: 23/103 paragraphs of #SOTU on foreign and defense issues. Not bad; bet it's more than each of the last 2-3 years. Obama closes with God bless. Clapping on the "I have no more campaigns to run" line STARTED from the FLOTUS box. Obama gets big applause for bringing up the Voting Rights Act, which saw a key provision struck down by the Supreme Court in 2013. Meanwhile, challenges to voter ID laws and other voting restrictions are ricocheting up the legal system. President Obama's speech does not mention open enrollment, which is still running until Feb. 15. The Department of Health and Human Services projects that at least 9.1 million Americans will enroll. So far, 6.8 million Americans have signed up through the federal marketplace or have been auto-enrolled into the same plan they signed up for previously. "The sanctions that we put in place helped make this opportunity possible. But let me be clear: if this Congress sends me a new sanctions bill now that threatens to derail these talks, I will veto it. For the sake of our national security, we must give diplomacy a chance to succeed. If Iran’s leaders do not seize this opportunity, then I will be the first to call for more sanctions, and stand ready to exercise all options to make sure Iran does not build a nuclear weapon. But if Iran’s leaders do seize the chance, then Iran could take an important step to rejoin the community of nations, and we will have resolved one of the leading security challenges of our time without the risks of war." "We still may not agree on a woman’s right to choose," Obama says. 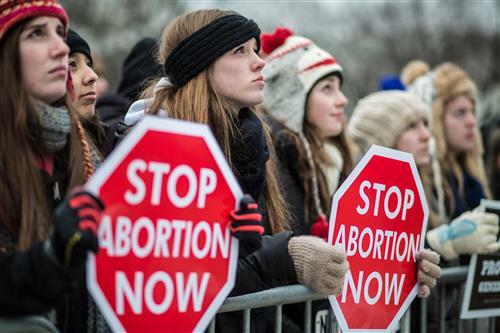 Abortion foes hope that legislation to limit the procedure will have broader implications as GOP lawmakers fast-track legislation to ban abortions after 20 weeks. "We condemn the persecution of people who are lesbian, gay, bisexual or transgender." 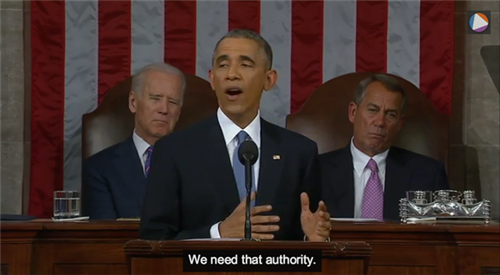 Obama making first #SOTU reference to trans people. 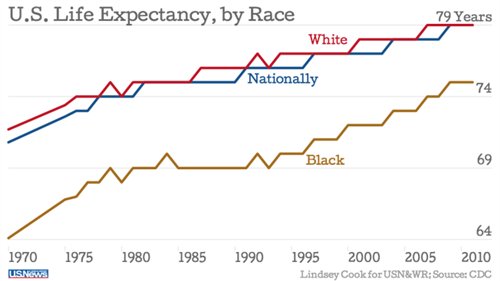 In the justice system and the health system, deep gaps persist between black and white Americans.